What is Collagen? Why Supplement it? If you’re looking for the health and appearance benefits from collagen, you need to choose the best collagen supplements. Doing that can seem overwhelming, as there are so many different brands and products out there. Thankfully, you don’t have to make the decision alone. This post highlights the best current products out there, along with what makes them stand out. We also look at the advantages that collagen offers and what to consider when making your choice. In a Hurry? Skip Straight to the Best Supplements! Of all the proteins in our body, collagen is the most common, by far. It is a key component in the structure of our skin, while also being relevant for the joints and even the gut. ​Type I: A key component in the skin, helping to create firmness. This type also provides strength to muscles. You’ll often see collagen in skincare products and with good reason. Collagen is a key component in the skin and levels can decrease over time. Using collagen has the potential to improve skin appearance and add in moisture. It has also been linked to wrinkle reduction and improvements in skin elasticity (2). But, the benefits of collagen also go beyond this. Another area of interest is the joints. Preliminary evidence suggests that collagen may reduce the pain from osteoarthritis (3), perhaps by promoting extra collagen in the joints themselves. Other studies have reinforced this idea, although more research is still needed (4,5). This outcome typically uses collagen in the form of collagen hydrolysate. This is where the collagen has been chemically broken down into its amino acid components. The collagen is also used in a supplement or a powder and taken internally, rather than being used on the skin. Supplementing collagen can also help the skin to look good, improving the texture and making it appear firmer. There may be many other benefits to collagen as well, including improvements to muscle strength in older adults (6). This may help to decrease age-related muscle loss (7). Collagen may help with muscle strength and recovery in other age groups as well. Finally, collagen is also very nutritious. It contains many different amino acids, which play various roles in our overall health (8). It is possible to get collagen in the diet as well, with bone broth being a common source. But, food typically contains large molecules of collagen, which are less available to the body. This means that supplements tend to offer more benefits overall. Finding the right supplement can seem overwhelming. Companies all have their own angles and claims, with more products regularly hitting the market. But, there are key patterns you can look out for. This term refers to the amount that the body can absorb. A high level of bioavailability will mean your body gets more benefits from the supplement. As a general rule, higher bioavailability will mean more health benefits. This is a key reason why hydrolyzed collagen is used rather than the whole molecule. Collagen has a large molecular size and has low bioavailability when consumed as such. On the other hand, hydrolyzed collagen is much easier to digest. Small molecules also have the chance to promote collagen production in the body, which is a key benefit. Companies won’t always state how bioavailable their products are. But, it’s worth keeping an eye out for the information. There are various sources of collagen and they can differ from one another. Bovine collagen. This is also called cow or beef collagen and comes from the muscles, skin and bones of cows. 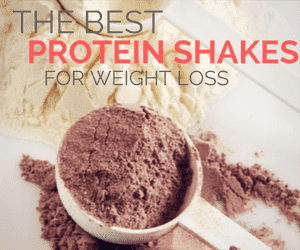 It is rich in Type I and Type III collagen and helps promote creatine production and muscle development. Marine collagen. This source of collagen is the most readily absorbed and mostly contains Type I collagen. This makes it especially relevant for providing joint and skin benefits. Chicken collagen. This version mostly contains Type II collagen, along with some anti-aging compounds. While it may offer fewer skin benefits, the collagen is still relevant for the joints and for cartilage development. All of the sources offer collagen, so they will provide the same general benefits. But, you might prefer one over another based on your needs. For example, some people turn to marine collagen for the bioavailability or for the anti-aging impacts. Others may feel that bovine collagen offers more overall benefits. All of these styles can offer benefits but they have different advantages. For example, many people feel that liquid supplements are the most readily absorbed, although this isn’t always accurate. They are also easy to take on the go, without needing to add anything. But, the liquid supplements often have added ingredients, making them less appealing. Many people prefer using pills or powders instead. These typically have fewer ingredients. They often come from brands that specialize in health and wellness, rather than ones focusing on skincare. The various types do all offer benefits. So, it’s important to think about your preferences and what is going to work for you. Paying attention to the ingredients is also important. There are always some brands that add extra ingredients that offer no benefits. For example, you might see flavorings or colorings in some supplements. Try to avoid these and look for companies that rely on high quality natural ingredients. There should also be relatively few ingredients overall. In fact, powdered supplements will often just include the collagen, nothing more. Whenever possible, it’s best to buy products from brands with a good reputation. This includes ones that consistently pass testing and get good reviews. Collagen is considered safe. But, like most supplements, a fraction of users will experience side effects. Gastrointestinal impacts are the most common problem (11), along with constipation. Some people also experience abnormal heart rhythms. The simplest answer is to pay attention to your body and talk to a doctor if you experience significant side effects. You should also consider the source. Some people may have allergies to one type of collagen but not to another. Additionally, marine-sourced collagen is often high in calcium. This won’t be a problem for most people. But, if you’re at risk for hypocalcemia, you should talk to your doctor first. As always, choosing a high-quality brand helps reduce the risk of side effects. Doing so is critical, as the supplement industry is not highly regulated. So then, which collagen supplements should you choose? Below, we highlight some of the best choices. These are all high quality products and represent the range of different options on the market. This product offers bovine collagen and comes in a powdered form. The product uses collagen peptides rather than hydrolyzed collagen. The difference is that collagen peptides are made from the skin only, while hydrolyzed collagen is made from other body parts as well. The collagen is still broken down in the same manner, so the bioavailability should be similar. Even so, many people do prefer peptides. The main disadvantage is the flavor. Some people say that it has no taste at all. Others say that the flavor is noticeable, a little bit like beef broth. While the flavor doesn’t seem to matter to most users, it is something to be aware of. The same brand has other related products, including Bone Broth Collagen and Wild Caught Marine Collagen. This is another brand that offers bovine-sourced collagen peptides. This time, the company calls them hydrolyzed as well, but the basic concept is the same. Once again, the brand is a popular one and the product receives good reviews. As such, both this and the previous example are great choices if you want bovine collagen. The brand does offer marine collagen as well. Their marine collagen supplement doesn’t get as many sales but still receives good reviews. This brand offers a specialized marine collagen supplement. The collagen is sourced from wild-caught Atlantic cod. The only additional ingredient used is 20 mg of sodium per serving. Reviews suggest that the powder doesn’t taste like fish but does still has a slight flavor. As such, you may want to add in a little lemon juice or something similar, rather than just dissolving the collagen in water. Opinions on taste also vary and some reviewers did find that the product tasted a little like fish. If you’re sensitive to that taste, you may need to choose a different type of collagen. This supplement is a little different. It is still collagen powder but it uses multiple sources of collagen. It also contains 7 grams of protein per serving, along with 45 mg of sodium. The mix of collagen types should make this a more complete source of collagen, offering a combination of the benefits that the other powders contain. The product does also receive good reviews and Dr. Axe is known for his focus on health and quality. More collagen sources means an increased risk of allergic reactions. The powder may also be less bioavailable – as only some of the collagen sources are hydrolyzed. While the product isn’t labeled as being gluten free or GMO-free, responses from the company suggest that it meets those criteria. Additionally, the fish appear to be wild caught and the cows pasture-raised and grass-fed. If you’re interested in supplements instead, this is one of the most powerful choices. It offers 6,000 mg of collagen per serving (6 tablets). There is also vitamin C and sodium added. The vitamin C is designed to boost absorption. However, you do need to take 6 pills per dose, which can feel excessive. Reviewers also mention that these pills are large. They may be a poor choice for anyone who struggles to swallow pills. Doctor’s Best is a good brand for many types of product, including collagen supplements. The company tends to be reliable and consistently passes independent testing. This supplement offers 3,000 mg of collagen per serving (3 tablets) and you get 60 servings in a container. The dose is smaller than the previous brand but you could simply increase the number of pills that you take. This one adds in vitamin C, calcium and sodium. The formulation is designed to increase benefits and absorption. The peptan referenced in the title is simply the name for the collagen used, which is bovine sourced in this case. As you can see, there are many good collagen brands to choose from. In fact, there are other appealing brands that didn’t make it onto this list. Great Lakes is one example. There is no single best product from these brands. They all have advantages and disadvantages, depending on your needs. For example, the Multi Collagen Protein from Dr. Axe may be ideal if you want the most possible benefits. If you specifically want marine collagen, the powder from Joy of Health may be a better alternative.